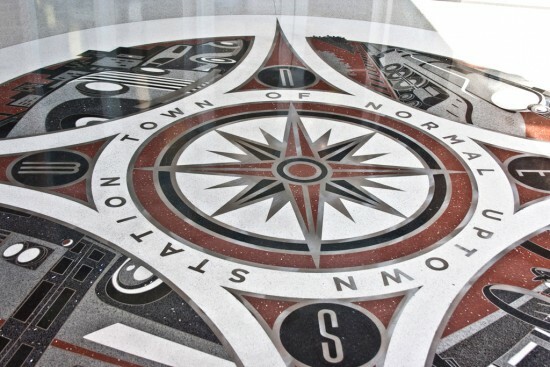 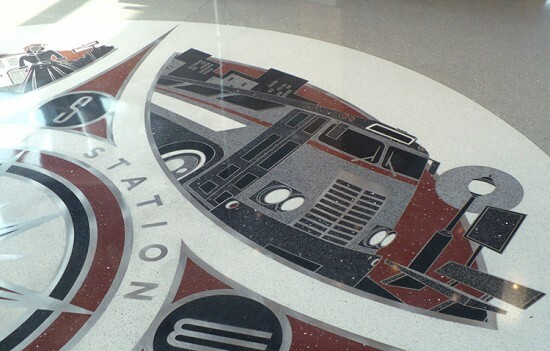 Created for RATIO Architects, Inc., this illustration became a terrazzo floor installed in the Multimodal Transportation Center and City Hall, Normal, Illinois. 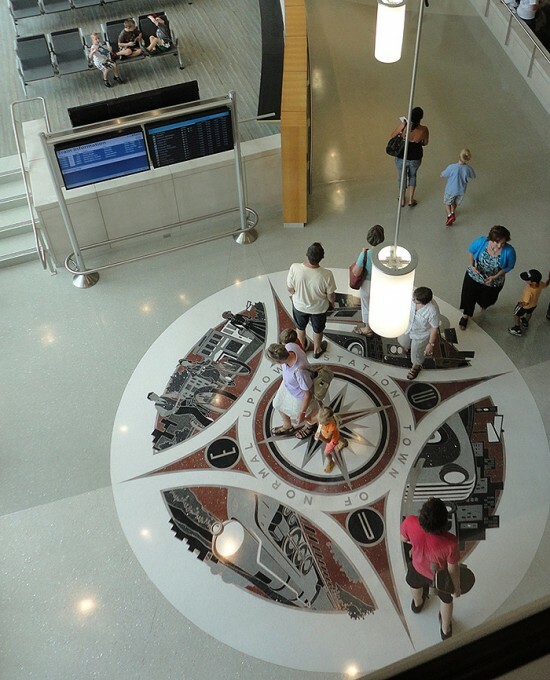 We illustrated the 4 different vignettes featuring the different modes of transportation. 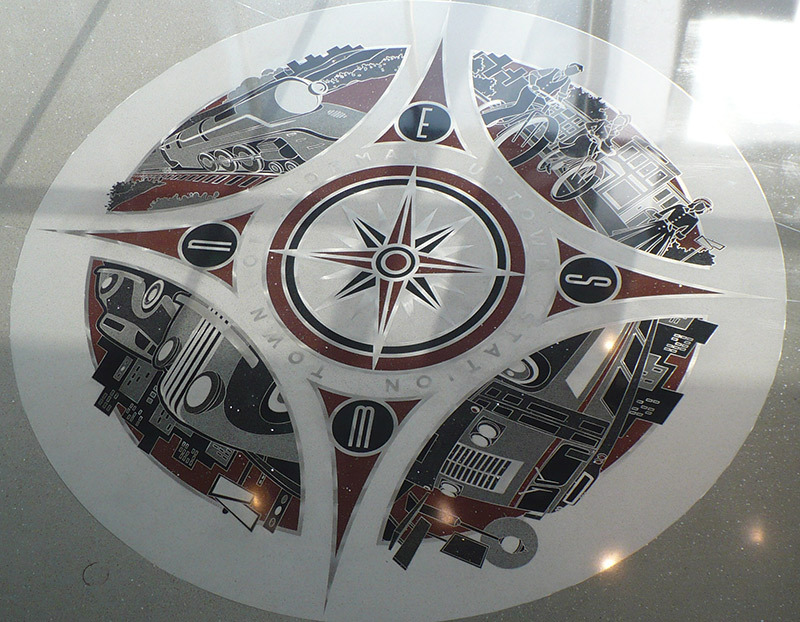 Adam Ratcliff, designer at RATIO, created the compass elements and font treatments as well as art directed the project. We needed to created a ‘deco’ style of illustration that represented auto, train, bus, and pedestrian/bicycle transportation. 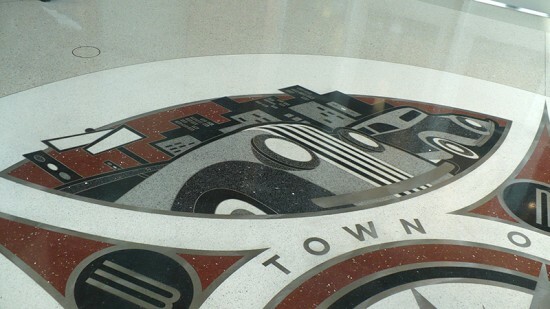 They needed to be engaging and retro, but also had to be terrazzo-floor friendly! 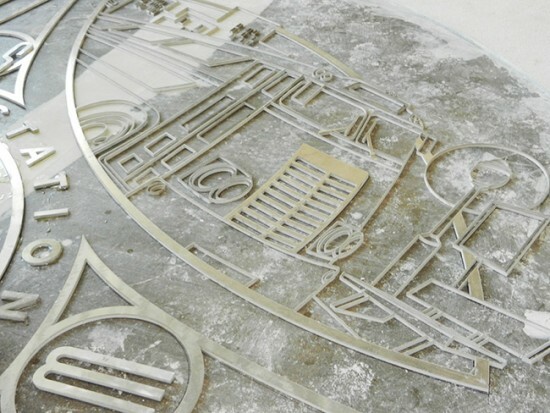 The shapes and line weights needed to jibe with what the terrazzo craftsmen had to do to prepare the metals and materials for installation. 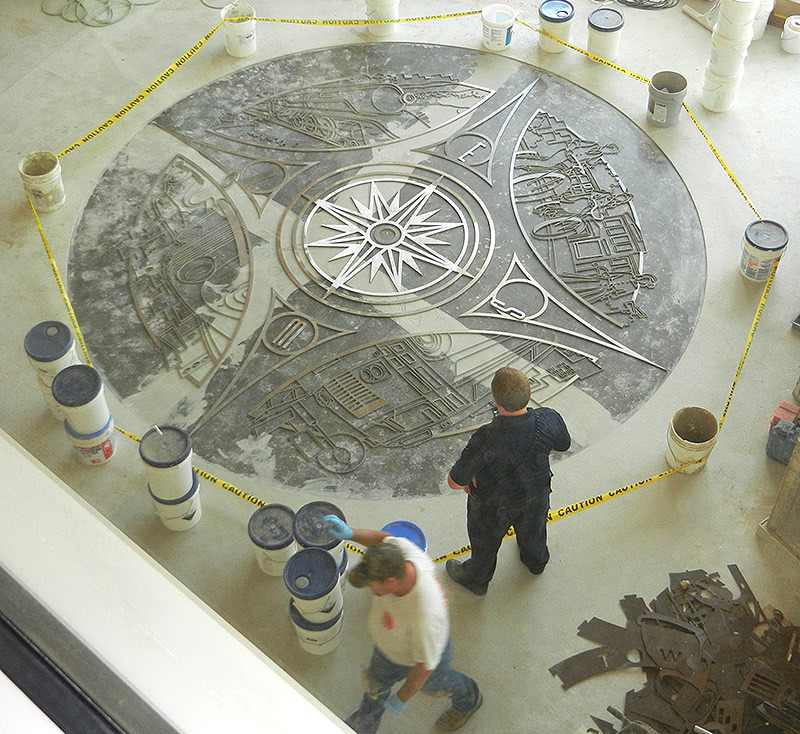 Of course, there was a lot of behind-the-scenes work done by RATIO and Missouri Terrazzo to make this ready to install.